If you're an iOS user who loves Snapchat for more reasons than just the ability to send clandestine messages that disappear, we have some news for you. One of the features that you no doubt have amused yourself with in the past, Face Swap, has been improved by an update to the app. One you've installed the update, you can look for faces to swap with directly from the existing pictures in your camera roll. Think of what this new capability means. No longer will you have to have someone else in a picture with you to swap faces with. Accessing the new feature requires that you long-press on a face while in camera view. That unlocks the selfie tools, including the Face Swap icon. The new version will have a purple icon (merely a coincidence in timing as this was in the cards well before the untimely passing of Prince yesterday). Pressing that button will allow Snapchat to scan your Camera Roll, looking for a face you can swap with. 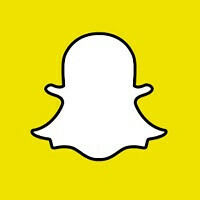 Snapchat has also eliminated the feature added last year that allowed users to replay three snaps for 99 cents. A temporary video can still be replayed for free, but for just one time. When a snap is replayed, your friends will receive a message alerting them to that fact. Unless this was a financial bust for Snapchat, charging to replay a snap seemed like a great idea to bring in some revenue. After all, the app had a valuation in the range of $16 billion to $19 billion last year even though it lost $128 million in 2014. Apparently, this didn't turn out to be the big money maker that Snapchat hoped it would be. While the Face Swap improvement is rolling out to iOS users now, Android users will have to be a little patient as their update will be coming soon. Guys I need help with Snapchat's filters (like those vomiting rainbow or bunny face) I can't find a way to use them lol! It's also already available for Android, at least if you're in the beta program. Was just about to comment the same thing. I Love snapchat and I send probably over 80 snaps a day. It is a brilliant and funny way to communicate and it is great that everything disappears(you see when someone tskes screenshot). The masks are still fun to play with, because of the fact that they change everyday and geofilters are so great. Checked out this new feature on the Android app and it seemed much fun. Love snapchat.